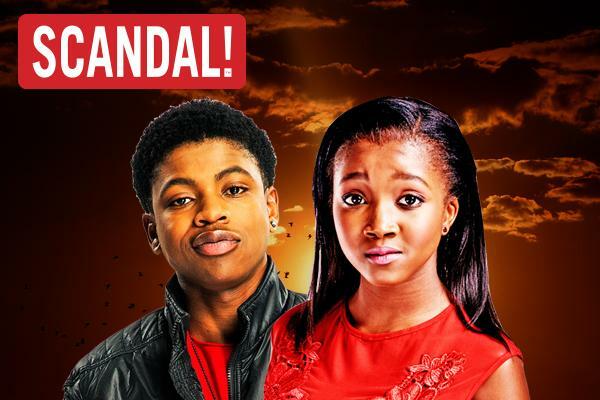 Makhanya, who is beginning to find her feet as a professional actress, portrays the role of Lindiwe Ngema on Scandal!. She is a very cheeky and annoying young girl who knows no boundaries. 1. Nomvelo’s mother suggested she try out the National School of the Arts (NSA) in Braamfontein, Johannesburg. 2. Makhanya, 19, realised when she was doing Sarafina the musical that she actually gets fulfilled when performing. 3. She has appeared in theatre productions like Maybe This Time, African Reflections and The Bald Prima Donna. 5. Nomvelo says she’s a working actress and her character is beyond her control, but often she has to sit people down and explain the difference between her character and reality. 6. Nomvelo has 17.1k instagram followers . 7. She is best friends with her on screen brother “Scelo”. 8. When Nomvelo Makhanya was growing up, she wanted to become either a netball or hockey star. 9. Nomvelo is not only an aspiring actress, she also loves to sing.